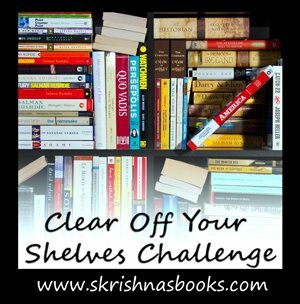 The Clear Off Your Shelves Challenge is over! I signed up to for the minimum - 20%. I actually did better than I thought for this challenge even though I didn't get reviews written for all of the books yet! I can credit much of my success to preparing for the panel I moderated at the Lititz Kidlit Festival! To be "successful" for this challenge, I needed to read 9 books from my shelves. I actually read 13! Thanks to Swapna for hosting this fun (and helpful) challenge. Wow, fantastic stats! I'm totally impressed. That's fantastic! I'm thinking of joining this challenge for 2010. Not sure yet! You exceeded your goal. Congrats. Yay! Congrats on finishing this challenge.